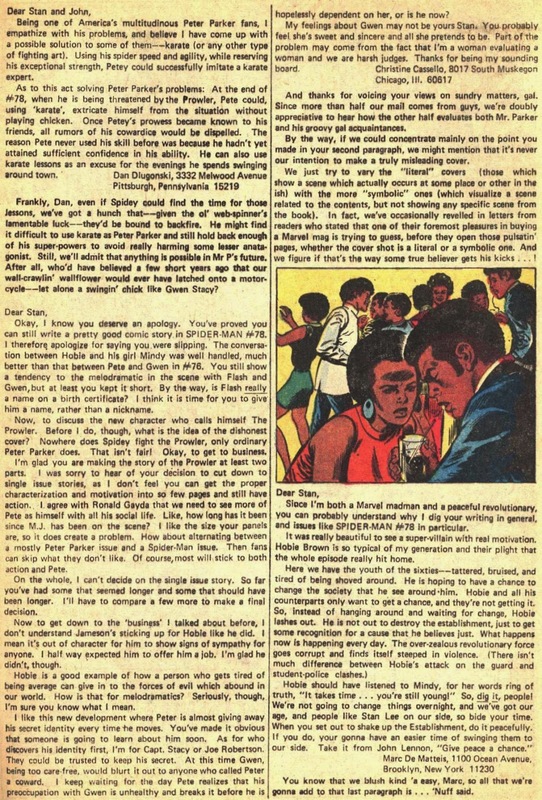 I wrote to many Marvel comics in the following years—and kept on writing till I was in my early twenties (my last published letter was in an issue of Master of Kung Fu, simultaneously singing the praises of Doug Moench and Jack Kerouac)—but I'd love to go back in time, tap that fourteen year old on the shoulder and say, "Pssst. Kid. I know you're not gonna believe this, but one day you'll be writing Amazing Spider-Man!" I'd love to see Little Marc's jaw drop and his eyes bug out and then I'd like to give him a hug and tell him to keep chasing his dreams—because they really do come true. Thanks for the trip down Memory Lane, Julián. listening and dancing pleasure. Enjoy! writers and artists whose work meant so much to you. discovered that connection when I started writing his adventures. Let's talk about your first Spider-Man assigment, Marvel Team-Up #101. How did that come about? As I recall, Denny O’Neil asked me if I wanted to do an issue. Simple as that. Being a young, hungry writer, I immediately said yes. I would have said yes if he’d asked me to write an issue of Millie the Model. How was it working with Denny? Denny is a man of great intelligence and a deep, developed sense of what makes a good story. I had tremendous respect for him before I ever walked in the room. There’s not even a hint of “What can this guy teach me?” with an editor like Denny. You know you’re going to learn just by working with him. Tom DeFalco was your editor in the early eighties and it seemed that, under his leadership, all the titles were strongly connected. How was Tom to work with? Was it very difficult to coordinate with the rest of the writers? Tom DeFalco’s one of my favorite people in the business. A terrific writer, a superb editor and an all-around wonderful guy. Working with him on MTU was a delight. He certainly knew what he liked, and what he didn’t, but he was the kind of editor who’d pick up the phone, just to tell you that he’d read your latest script and how much he loved it…and, in the process, totally make your day. As for the interconnectedness of the books: Tom made sure we were all aware of what was going in in each Spidey book. In fact, as I recall, each book was assigned a specific focus. I enjoyed the character of Aunt May (another character I fell in love with after I began writing her) so Tom encouraged me to explore May…and the other folks in the nursing home. How did you deal with the inherent limitations of Marvel Team-Up? By trying to make the stories matter. I don't mean that they had to have a huge impact on the greater Marvel Universe, just that there had to be emotional and psychological stakes in the story. 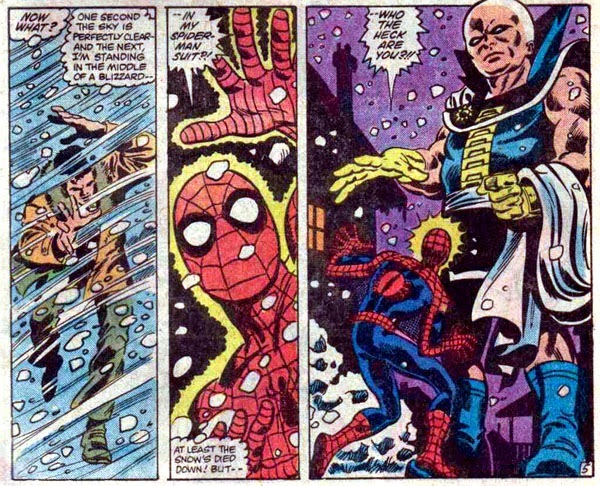 The limitation, of course, was that every issue had to bring in another character for Spidey to team up with. But, looking back, it wasn’t a limitation, it was a challenge. “How can I do this and make it a story that means something for these characters?” Again, I tried to make the stories matter. I don’t know if I started out consciously doing that, but as my MTU run went along, that became my guiding light. You used Vermin—a character you created (with Mike Zeck) in Captain America—in a Team Up story. Did you realize his huge potential or he was just "another monster"? I just thought he was an interesting character—but I didn’t know if I’d ever use him again. I brought him back later in my Cap run and then in MTU and began to find the interesting layers and levels of Vermin’s psyche. But I didn’t really realize just how deep the character ran till I used him in Kraven’s Last Hunt and then, later, in Spectacular Spider-Man. Was the structure of the series—bringing in a new guest in every issue—an advantage or a disadvantage? I’d imagine it was very difficult to use Peter Parker in MTU—but you introduced many significant moments for Peter. 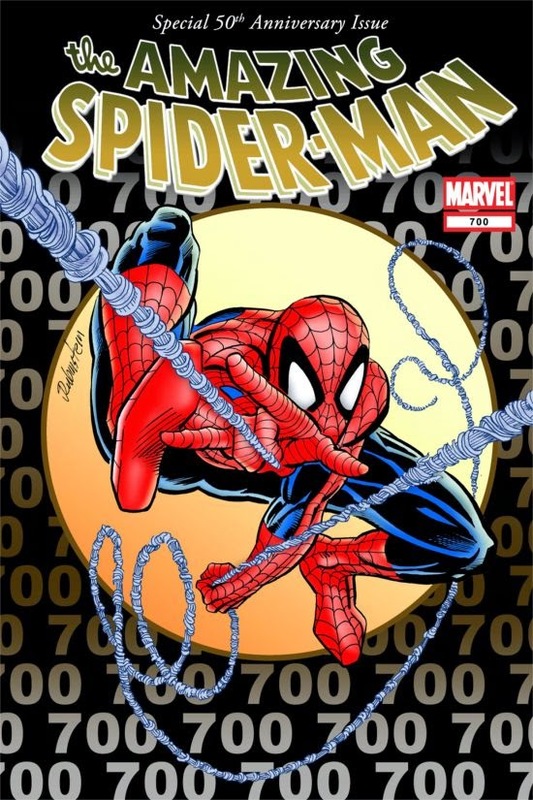 I was recently on a panel at a convention talking about this point: When you’re writing a Spidey book, you’re not writing about some hero named Spider-Man. Mask on or mask off, the book is about Peter Parker. I felt that way (more intuitively than consciously) right from the start. Tom DeFalco really wanted MTU to be an integral part of the Spider-Man line, not just some oddball book off in the corner. He wanted it to (there’s that word again) matter. You’ve said that the series did not satisfy you until Herb Trimpe left and Kerry Gammill came aboard. How did that happen? The shift had nothing to do with Herb, who did superb work. (Trimpe is one of the great Marvel artists. His run on Hulk remains a high point in the character’s history). It just took me six or eight issues to really find the book, to understand what I wanted to do with it. That shift coincided with Herb leaving and Kerry arriving. I had nothing to do with that change: As I recall, Herb decided to move on to another assignment and Tom hired Kerry to replace him. I loved Kerry’s work. He’s one of those artists who can do the big superhero slam and bang as good as anyone, but he never loses the humanity of the characters. He could do the small intimate moments, the pivotal emotional beats, and really sell the heart and soul of the story. You wrote some touching stories about elderly people in MTU. The Gargoyle story was fantastic, and so were the Dominic Fortune and Watcher stories. You seemed to have great affection for Aunt May and the other characters from the Restwell Nursing Home. These kind of topics weren’t usually addressed at the time. Why did you find them so important? Part of that came from the fact that I was given free reign to develop the Restwell characters. Part of it came from my interest in the Aunt May character—who, once I started writing her, revealed herself to be deeper, and far more complex, than I’d ever imagined. I don’t think I was consciously trying to focus on older characters. The Gargoyle, a character I created (designed by my Defenders collaborator Don Perlin), was an eighty year old man in a gargoyle’s body: certainly not the typical Marvel hero. At the time, I just thought, “Well, that’s an interesting idea…” but, looking back, I can see that there was something that drew me, fascinated me. Focusing on older characters allowed me to ask questions about how we live our lives, how we face our deaths, who we are as we age. We’re all dealing with our mortality from the moment we realize that our time on this planet is finite. These characters allowed me to explore those issues. Why did you leave MTU? I was on the book for something like three years. That’s a long time to write team-up stories. I just felt that I’d said everything I could say on MTU and it was time to move on. Now let's talk about Kraven Last's Hunt. How different from the final Spider-Man saga were your initial drafts of the Wonder Man and Batman ideas that preceded it? How much work did you do on the Batman graphic novel? 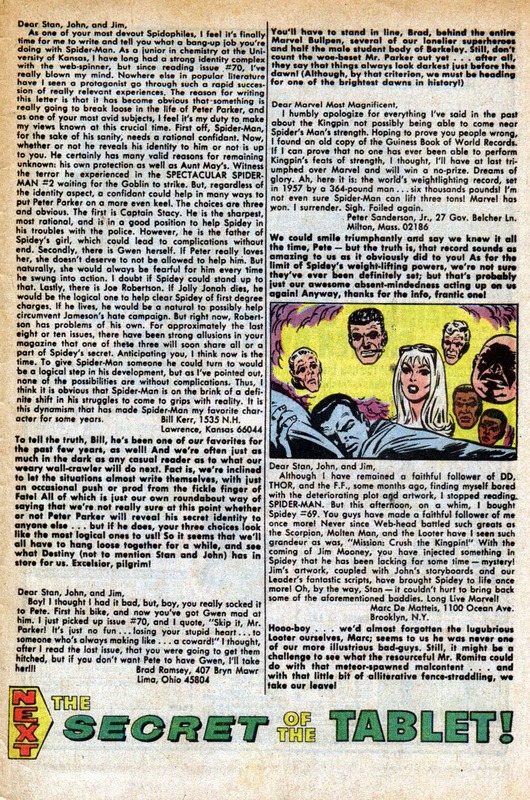 The Wonder Man story was just a pitch…based around the idea of Wonder Man’s brother, Grim Reaper, killing, and burying, Wonder Man (who, it was established, had the ability to regenerate). In the WM version, it was something like six months later that he came up out of the grave. He’d been robbed of six months of his life and he was pissed. The emotional center of the story was the relationship between the two brothers: hard-core enemies, but also family. However much they loathed each other, they loved each other, too. 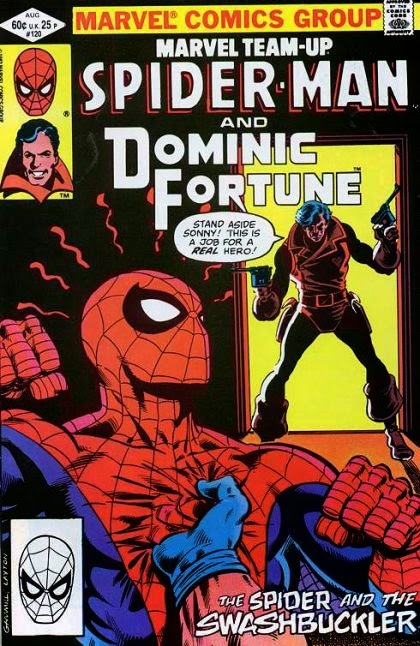 It was an interesting dynamic, but Tom DeFalco rejected the story…and a good thing he did. If not, there would never have been a Kraven’s Last Hunt. I really don’t think people would be talking about Grim Reaper’s Last Reap twenty-five years later. The Batman story went through two versions, one with the Joker, one with Hugo Strange. These were written pitches: outlines of maybe two or three pages. Both were rejected, one by Len Wein, one by Denny O’Neil (I only get rejected by the best in the business!). I remember that my friend Mark Badger—the wonderful artist I did Gargoyle and Greenberg, the Vampire with—did an illustration of Batman clawing his way out of the grave to accompany the Hugo Strange version. Seven or eight years later, I took the Joker elements of the pitch and turned it into a Legends of the Dark Knight arc called “Going Sane”—which I think is one of the best super hero stories I’ve ever done. The Hugo Strange version became the template for KLH. As I’ve said many times before, stories have lives of their own and you have to give them the time to grow and evolve. In the end, KLH had to be about Peter Parker. His unique psychology and, of course, his relationship with Mary Jane were so important to the story. And Kraven was the key element that made the whole saga come together. A character of such depth and pain, such wonderful contradictions—and a kind of depraved nobility. I’m a huge Dostoyevsky fan and Kraven, as I envisioned him, could have stepped out of the pages of The Brothers Karamazov. I’m grateful for every rejection along the way that gave the story time to find its proper form. Every element had to be right: especially the extraordinary artwork of Mike Zeck. Peter was just married: What was your opinion about that? Did you think it would last twenty years? I feel that Mary Jane was a pivotal character in the Last Hunt. How did you envision the character of MJ? You’re absolutely right. The fact that Peter and MJ were married…newlyweds…was pivotal. They loved each other passionately—and that love is what gave Peter the strength, the courage and the desire to come back. His mind could have easily collapsed down in the darkness. He could have been stuck in that grave and died there. MJ was the light that guided him out of that darkness. I know there are people who disliked the Peter-MJ marriage, but I wasn’t one of them. I thought Mary Jane was a complex, fascinating woman. MJ and Peter were a strong, and very real, couple. The marriage deepened Peter as a human being and deepened the Spider-Man books. My favorite quote from the saga comes from Peter, in Web #32: "Just a normal guy—who got tapped on the shoulder by fate.” Is that how you see the character? Absolutely. Peter is an everyman. He’s me, he’s you. He’s not “the chosen one.” Not someone special. What makes him such a memorable character is that he’s a decent human being, struggling, as I think we all do, to do the right thing in life; but like most of us, he often screws up—sometimes spectacularly. He’s flawed, he fails. But—and here’s where Peter does embody the best in us—he always faces those flaws, picks himself up and goes back out there again, continuing to do his best, striving to be a good man and live a decent, compassionate life. But, again, this isn’t because he’s special, or “chosen,” it’s because he embodies qualities that we all have, struggles that we all face. Maybe we don’t wear masks and shoot webbing, but I think most of us can relate to Peter, can see in him a mirror of ourselves. About Spider-Man: Soul of the Hunter: What were the origins of the story? Was it something you wanted to do or was Marvel looking for a sequel? It seemed like Kraven had some kind of redemption in the story, in a certain Christian way. Was that your intention? What happened was that Marvel got some mail from a few people who thought that Kraven’s death was glorifying suicide, which was never my intention. Kraven was tormented, his mind was shattered. Insanity ran in his family. (His mother died in a mental institution.) His wasn’t an honorable death: it was tragic. I wanted to do a story to underscore that—and that’s how Soul of the Hunter came about. 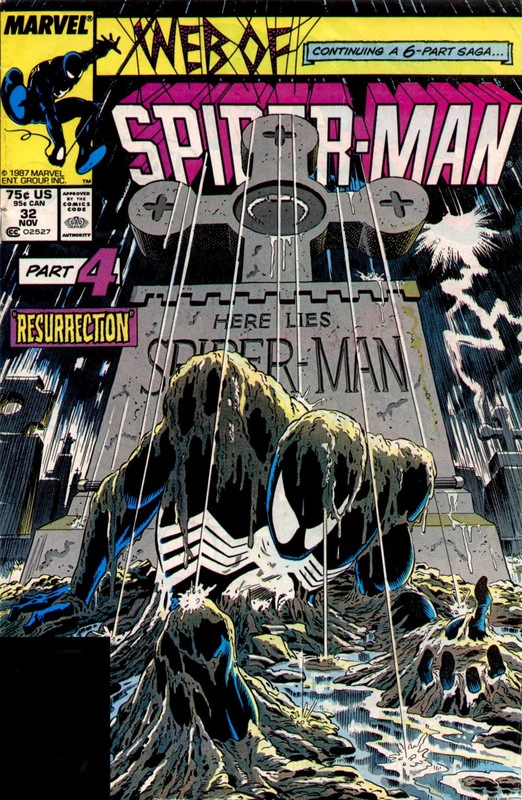 I don’t know if it’s a story about Kraven’s redemption so much as it’s a story about Peter dealing with the guilt of letting Kraven die. It wasn’t his fault, he didn’t know it was going to happen; but Peter being Peter, he feels responsible. His encounter with Kraven’s spirit—if that truly was Kraven’s spirit—is what allows him to work through those feelings and come out healed and whole. Kraven’s Last Hunt has been a favorite story for many Spidey fans. Is it one of your favorites, too? It seems this was the story that turned you into a star. What did it mean for you as a writer? KLH has had a long healthy life and I’m very grateful that people are still reading it today, often discovering it for the first time. It’s a difficult one for me because, at the time I wrote it, my life was in turmoil; I was in as much pain as the characters in the story—which is one of the reasons why I think the story has had such impact: it was real. Peter, Kraven and Vermin were all, in some way, reflecting what I was going through at the time. But, because of that, it’s sometimes hard for me to look at the story objectively. I read it and see a mirror of a period of my life that was difficult. What I can look at objectively is the artwork. Mike Zeck is such a wonderful artist, a magnificent storyteller. If another artist had drawn that story…even if, panel by panel, it was essentially the same…it wouldn’t have been Kraven’s Last Hunt. So much credit for the story’s success goes to Mike. As for Kraven making me a star (whatever that means! ): I don’t know if that’s true. I think the story has grown in stature over time. It was certainly appreciated back in the day, but not as much as it is today. The series that really turned things around for me was Moonshadow. That was where I found my authentic voice as a writer and, for perhaps the first time, did work that I was truly proud of. With Moon, I stepped out of the Marvel Universe and wrote as myself, unencumbered by the tropes of the genre. That experience freed me and allowed me to step back into the MU and write something like Kraven. If I hadn’t done Moonshadow, KLH wouldn’t have been half as good. And then, a few years later, you came back again, for your Spectacular run. Danny Fingeroth was your editor. What was it like working with him? Danny was great to work with. He, like Tom DeFalco, remains one of my closest friends in the industry. As an editor, Danny was the kind of guy who watched over every detail of the story and art like a hawk but, at the same time, gave me tremendous freedom to let me tell my stories the way I wanted to tell them. Working on Spectacular Spider-Man I was able to create a kind of subset of the Spider-Man line—I think Danny jokingly called it the DeMatteisverse. That said, when Danny saw a story starting to slide off in the wrong direction, he would speak up, so I knew he was always there to backstop me and offer solutions. When you worked with an editor like Danny—and I have to say all the Spider-Man editors I worked with, although they had different styles, were cut from a similar mold—who gave you that level of creative freedom, you paid very close attention when he told you something wasn’t working. There are certain editors who are desperate to put their own stamp on the book, who see the creative team as a kind of pipeline for the own ideas. These kinds of editors are on top of you constantly, parsing each word and idea. The best editors are guys who are secure enough in themselves and their skill to hire good people and let them do what they do best. They’re smart enough to know when things are going well and, when they’re not, they’re there for you to work out the bumps in the story. You can’t ask for anything more. 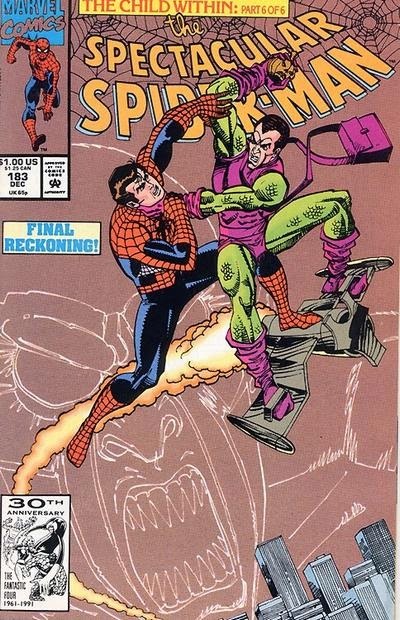 Sal Buscema was your artist on Spectacular. How was that collaboration? I can’t say enough good things about Sal—as both an artist and a man. Chemistry between a writer and artist is a strange, ineffable thing. You can’t force it, you can’t create it. I’ve worked with wonderful artists, written terrific stories for them, and then watched the final product just…sit there. There was no spark, no chemistry. No magic. With Sal, the magic was there from the first page, the first panel, of our Spectacular run. We just clicked. He brought my plots alive with impeccable storytelling, deep emotion, every subtlety I asked for and more. Scripting from his art pages was effortless. Our personal relationship was just as good. I loved working with him, chatting on the phone. A great artist and a true gentleman. The topics you addressed in Spectacular were very deep. It was very different from the sort of stories told in Amazing. It seemed like Amazing was for kids, but Spectacular was for mature readers. Was that your intention? No. I was simply writing about stories and themes that interested me. I always want to know what’s going on inside a character’s head, what the emotional and psychological demons driving him are. I tend to write stories from the inside out and let the plot build around that. I don’t think the stories in Amazing and Spectacular were all that different, or that one was aimed at kids while the other was aimed at older readers; I just think that different writers have different voices, different approaches to storytelling. And that's a good thing. You shouldn’t pick up two different comics by two different writers and have them seem, essentially, the same. You want a different flavor, a different—and unique—perspective from both. Were you influenced by psychoanalysis in these stories? A lot of scenes with Peter, Harry and Vermin almost played like psychoanalytic sessions. As noted, I’m very much interested in what makes people tick, in the “why” or who we are and what drives us—not just in stories, but in life. I’ve done my share of inner exploration, both psychological and spiritual, and that’s always been reflected in my stories. When we’re children, our parents are like gods to us and their impact on our lives is huge. No one had ever really looked at the impact the loss of his parents had on Peter. It was virgin ground, which gave me a lot of room to explore. One of the ways small children find power in situations where they have no control is by taking on responsibility for the events around them: My parents are getting divorced…my parents have died.…I’m being abused—whatever the case—so it must be my fault. In a strange way, this false sense of responsibility, this crushing guilt, gives the chaos a kind of twisted meaning, gives the child a kind of twisted power. Peter’s parents died when he was young, but he was old enough to feel the loss, to be shipwrecked by it, and to internalize it…very deep in his psyche…as a sense of responsibility and guilt. That guilt was only magnified, years later, by the death of Uncle Ben. “The Child Within” dealt with those wounds that come when we’re so young that we’re not even conscious of them. And yet, conscious or not, those wounds shape us. Peter, Harry and Vermin were all dealing with these primal wounds and they continued to echo through their lives, years later. You introduced Ashley Kafka in Spectacular Spider-Man #178. She was one of my favorite supporting characters of the time. How did you create her? With Ashley, you also introduced Ravencroft. Did you want to do a Marvel version of Arkham Asylum or did your have another intention? Yes, I created Ashley, but Ravencroft was either a Terry Kavanaugh creation or a group decision at one of our Spider-Man writers meetings—I’m honestly not sure which. And, yes, the goal, as I recall it, was to have the Marvel equivalent of Arkham Asylum. As for Ashley: she was a favorite of mine too, inspired by a therapist friend, whose last name is really Kafka. I thought it would be interesting to have a character who could do what I, as a writer, loved to do: bore down into the psyches of these fascinating characters and come up with unique perspectives on why they turned out the way they did. The traumas of their past, the demons that drove them. I used her many times because I thought that—as both a person and a therapist—she was a valuable addition to Peter’s cast. In "The Child Within" you started the story that ended with Harry's death in Spectacular #200. Was it always your intention to kill him at the end of the story? His character's arc was very, very tragic, like a Shakesperean drama, with the eternal shadow of Norman hiding in the background. I suppose that you never thought about resurrecting Norman in that time. What do you think about his subsequent comeback? I didn’t set out to kill Harry, the story just led me there. That’s what the best stories do: I may have plans, a blueprint for how I want things to go, but the characters lead me on to surprising places. And, yes, it was a tragic arc, but redemptive, too, in that the ending reaffirmed the depth of Peter and Harry’s friendship and the fact that love won out over hate. As for Norman’s return from the dead: At the time, I wasn’t thrilled by it, but I understood the need to bring back this classic character. It is comics, after all, and it seems everyone comes back from the dead eventually! In Spectacular #185 you used Frogman and The White Rabbit, from your old MTU issues. Were you trying for a comic break after "The Child..."? That’s exactly right. “Child Within” was six parts plus an epilogue and it was pretty heavy stuff. I thought a healthy dose of goofiness was in order to change things up. Then we've got "Funeral Arrangements,” the Vulture story, that reminded me of your MTU issues about old people. A great and touching story. What do you recall about it? What I recall most about it was Sal B’s amazing art. He started playing with a new inking style on that story and it was some of the best work I’d ever seen him do. I loved writing stories that put the focus on Aunt May: some people saw her as a cliched old worrywart, but I found her to be a complex, fascinating and incredibly strong woman. “Funeral Arrangements” really brought that out. Why did you leave Spectacular and how did you become the Amazing writer? What did it mean to you to write the "core" series? I left Spectacular because, after two years, I thought I was done with Spider-Man and his world; but I soon realized that I really missed Peter—he felt more like a friend than a character—and when Danny Fingeroth invited me to come back and write Amazing, I couldn’t say no. The biggest different between the two gigs was that Amazing was soon involved in the massive Clone Saga crossover, which meant that there was little or no room to go off and just tell my own stories, which is what I’d been doing with Spectacular. I loved the collaboration and the camaraderie between the writers as we put the story together—it was a fantastic group and I look back on those days and our many writers’ meetings with great fondness—but, when you find yourself writing Chapter Two of a four part story every month, it gets awfully frustrating. Which is why I eventually left Amazing. A last question: Do you miss Peter? Would you like the chance to write the story of your Peter, exploring what happened to him or Mary Jane or any of the characters you wrote? I wrote a short story in Amazing Spider-Man #700 that was my tribute to the character and his history. It was kind of a fond farewell and, honestly, I don’t have much desire to write a new Spider-Man story. That said, if I was asked, I suspect my unconscious mind would get cooking and I’d find myself bubbling over with Spidey ideas. But it’s not a conscious desire at all. The character I would love to write is Ben Reilly. We’ve hardly scratched the surface with Ben and, if he came back, I’d be pounding on Marvel’s door, asking for the chance to continue Ben’s adventures.